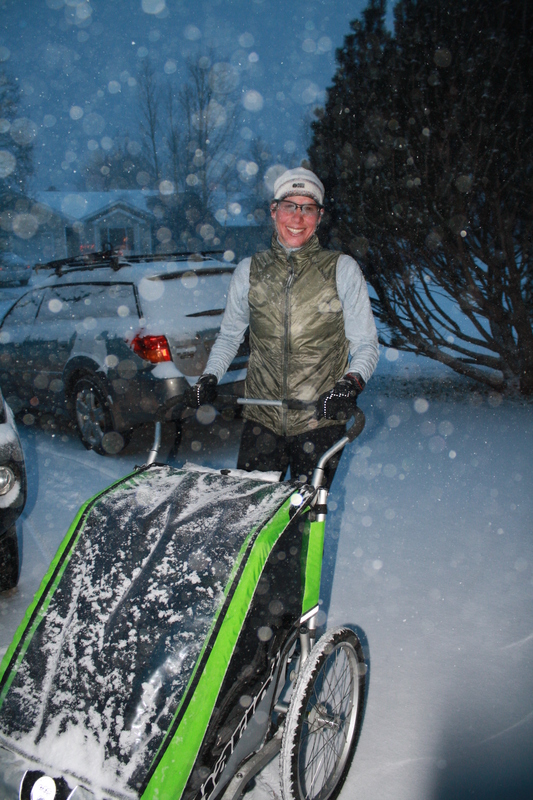 Juniper & I finishing up a snowy Chariot run. I was really looking forward to the International Ski Mountaineering World Championships in Claut, Italy next month but unfortunately it is not going to happen for me. Decisions have to be made with my entire family in mind which is why I’ll be staying in Colorado. I am extremely bummed to not represent the United States this year but deep down I know it was the decision that needed to be made. Instead, I am going to ski with my brother and his family during their visit from the east coast as well as get some training in for the upcoming rando races like The Aspen Power of Four and The Breckenridge Five Peaks. Both of these are in team format that are required to be raced in teams of two. Jason McGowin and myself are planning on putting together a La Sportiva team for the Aspen Power of Four race. Speaking of La Sportiva, with no races last weekend, Brian and I decided to get in some descending training. After a skin up Highlands, we had hoped to hike up the Bowl but the winds were howling and we both were too cold to brave the elements. Instead, we practiced on the rest of the mountain by skiing in our race gear until our legs and feet hurt. I really have not alpine skied in fourteen years except while training and racing so it was great practice to get out on my gear. I could not believe the performance of both the La Sportiva Stratos boots and the Merelli Raid skis. Despite the Stratos boots weighing less than most trail running shoes and only having two buckles, they ski as if they are a tall four buckle alpine boot. My descending has improved significantly this year and the only thing I can attribute that to is my new boots and skis. The next race in the COSMIC series is this Saturday in Crested Butte. Hopefully I can improve on my race tactics this weekend and have a smooth and clean one. Finally, here are a bunch of links for pictures and videos from the US Nationals in Jackson, the Targhee Skimo Classic and the COSMIC Heathen Challenge. Jackson videos from JH Mountain Resort and OuterLocal.com. Jackson photos from Mark Gocke, David Bowers and Crested Butte Photography. Targhee photos from Crested Butte Photography. Sunlight video from Daniel Dunn / Summit Action Sports. Sunlight photos from Crested Butte Photography, Todd Patrick and Daniel Dunn. Sari, way to start the new year. Congrats on your finishes sure your sponsors are super happy. Thank you again for continuing to inspire.